President Maithripala Sirisena’s recent criticisms of his partner in the government coalition, the UNP, have sent signals that the UNP-SLFP alliance may be ending sooner rather than later. At the general elections of August 2015, the two parties entered into an agreement to be in partnership for a period of two years. Those two years have ended and it appears that their partnership may be ending too. Among the criticisms that the president has made are those about governmental involvement in the Central Bank bond scam case and the middling performance of the economy. The president declared his intention to take over the reins of the economy through the National Economic Council he had set up three months ago. The media reported that it was not clear if the president would take over the three key economy-related portfolios currently held by the UNP. The National Policies and Economic Affairs portfolio is held by Prime Minister Wickremesinghe while the UNP also holds Finance and Development Strategies and International Trade portfolios. There was no reaction from the Prime Minister or the UNP. The president’s statements have been cast in a negative light by sections of the media and those who voted for the president at presidential elections of January 2015 at the urgings of the UNP. Most of the president’s votes came from traditional UNP supporters who accepted the decision of the UNP leadership to field Maithripala Sirisena as the common opposition candidate. The president’s criticisms of the UNP have alienated many of them. Members of the government from the UNP too have found the president’s statements to be disquieting. They have said as much from their political platforms. Even a cabinet meeting presided over by the president became a site of acrimony. The media reported that the president had walked out of a cabinet meeting after delivering a lengthy speech in which he had outlined the sacrifices he had been prepared to make, the risks he had taken and the issues relating to the establishment of good governance on which he wanted action taken. However, neither the walk out that he staged, nor his criticisms of his coalition partners, are likely to deter the joint UNP-SLFP search for a unifying formula that would benefit all concerned and keep the common foe, the SLPP, at bay. The problem facing President Sirisena is not an easy one to resolve. The SLFP is about to face the local government election while divided into two. A section of the party is being led by former president Mahinda Rajapaksa and is contesting as a rival party. The SLPP led by the former president will be competing for the same SLFP vote base with the SLFP led by the president. Neither the president nor former president can hope to get the votes of either the UNP, JVP or ethnic minority parties. They have to compete for the SLFP vote. The SLFP vote bank has traditionally been nurtured on an anti-UNP platform. Both the SLFP led by the president and the SLPP led by the former president have to compete for this SLFP vote. The president’s strong criticism of the UNP is meant to resonate with the SLFP voter. President Sirisena’s second way to maximize his party’s votes at the local government election has been assert that his stay in power as president will be longer than the five years to which he is entitled. The president even went to the extent of appealing to the Supreme Court to decide on whether he was entitled to a five or six year term. A longer term would have given the SLFP voter an added reason to vote for an SLFP that will continue to enjoy the power and patronage of the presidency. Due to the fact that his faction of the SLFP has only about 43 MPs in parliament, the SLFP members who follow the president realize that they cannot bargain on equal terms with the UNP which has 106 MPs unless backed by the presidency. Therefore preserving the presidency and the power and patronage it brings with it is a political necessity to the SLFP. In the aftermath of the Supreme Court opinion that the president is only entitled to five years in office, and not six, the president’s supporters are claiming that he will contest a second time. Although the president swore in the past that he will only be a one term president, he has been non-committal on the issue of whether he will run for a second term or not. The president’s latest stance is to say that he will decide at the appropriate time. The reason again is that preserving the presidency and the power and patronage it brings with it is the only way to induce SLFP voters to vote for the SLFP rather than for its rival, the SLPP. Those who are of the view that a continuation of the UNP-SLFP alliance is better than any other alternative need to find a solution that is mutually beneficial rather than criticizing the president for going back on his word. The main feature of governance at the present time is not the slowness of decisionmaking or continuation of corruption. On the contrary it is that the two main political parties in the country, which have been traditional rivals, are working together which brings in an in-built check and balance system to the government. Neither party can do as it wants in the government, which is extremely positive. In the past ruling party politicians used to go and sit in the chairs of OICs (Officers in Charge) at police stations or in the chairs of GAs (Government Agents) at the district secretariats. Now this is no longer possible and no longer happens because the other party in power is there to put a stop to such nonsense. This is also the reason why there is freedom from the fear which prevailed during the period of the last government, which enjoyed unbridled power and no checks and balances. Accompanying these positive features of the two main political parties working together is the opportunity to resolve the ethnic conflict through a political solution that has eluded governments since the first attempt was made in 1957. The constitutional debate that took place in parliament in November before the announcement of local government elections gave an indication that most parties in parliament felt that such a solution was necessary and should be strived for. However, since the declaration of local government elections, there is little political discussion about a political solution to the ethnic conflict as the SLPP and joint opposition have taken up nationalist positions. A strong electoral performance by the SLPP would be interpreted that there is opposition to a political solution. It is significant that Prime Minister Ranil Wickremesinghe has not reacted adversely to the president’s criticisms of his party and its doings. On the contrary he has directed his party members to desist from any criticism of the president. It appears that the UNP leadership is aware of the political needs of the president and is willing to accommodate them even at the cost of being publicly criticized by him. 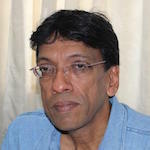 The worst case scenario for the government, and its plans for national reconciliation, would be a winning performance by the SLPP and anything that could be done to reduce the margin of its victory (and increase the margin of its defeat) would be in the interests of the parties in government and of a political solution to the ethnic conflict. President’s recent statement inviting Mahinda group to form a new government clearly shows that it is not the corruption that made him to change his mind. Bond scam is only one of those hundreds of scams happened over the past decade and so far he has not shown interest in taking actions against those scams including the coup that they talked during 2015 elections. I am sympathatic that once again the devolution of power is dead. Politics is a dirty game. Srilankan politics is very nasty & cruel! God Bless Srilanka! There is a rumour that MS who was going about without a backbone and had suddenly become assertive making threatening speeches is because RAW is behind him. Do not be surprised that if RAW will manipulate to install a puppet government headed by MS. I say Sakkara, are you now in the business of originating Chinese whispers ? Why should RAW destabilise the puppets they helped install in the name of Yahapalana?. You seem to see RAWunder every bush. They have scared you out of your wits when you were a student in Colombo scrounging off the generosity of the people of the South. Be a little more grateful you racist. Percy the Sinhalised low caste Tamil Nadu Kallathoni, you are the racist who is denying the legitimate right of Tamils to land and power by coming out with false history. For your information I paid for my education and did not scrounge off the generosity of people of the south. Had British returned the sovereignty to Tamils when they left, I would have never been in the south. Due to your stupid brain you seem to be unable to realise that what is happening in Srilanka is a geo-political struggle between China and India to gain control. You are suffering from an inferiority complex that you did not study in a top school like me. Don’t try to be funny with me you fellow. The UNP started the brawl to protect itself from the fall out of the bond scam. Ranil could have done better by controlling his minions who insensitively kept attacking MS.
Had he sacked or even suspended Ravi K from the UNP, things may have been different, although the prospects of a prolonged UNP-SLFP(MS) alliance was not very bright. Come on SJ. Don’t be such an imbecile. Old King has 150,000 murders and a genocide crime on his hand. IC is pressing to investigate it. $18B money lost as per Mangala. Rs9T lost as per New King. Instead of sacking Ravi from UNP, can you ask your man to sack that criminal from SLFP? Where do you get this fake new numbers? 7,000 to 8,000 died and 25% of them were Tigers and Tigers got erased. Thank you Lord Jesus. Thank you. When Old King was flying to Geneva in 1989, after 120,000 JVP terrorist were destroyed, he dropped a paper from the file he was hiding from the Customs Officials, from the plane at Bandaranaike Memorial International Airport. Those Numbers were written in that paper. LTTE and other Tamil vigilantes. SJ: Ranil can not sack Ravi from the cabinet. Then he will expose Ranil’s stupidness and dishonesty. <Y3 has to become a Mahinda Rajapakse during the LTTE war day. Just give the command to AG, ifnot replace him. Arrest everybody. Some thing has to be destroyed, some people have to be hurt. IT is OK if thieves are very hurt. IF MY3 says, check for possible failure and do it has some meaning. These are all election promises, not to be kept once the elections are over. Self preservation predominate, after all President is a political animal! The President was not threatening but rather ‘confessed’ to the utter helpless situation he is in. They will all leave officer much richer and wealthier with more assets than when they took office. This includes Sira and Ranil Haamu. and Ravi baba. Imagine Ravi Baba’s thick Ali Mankada hide.. He is typical of most Ceylonese. They see nothing wrong with bribes and gifts. He got his apartment paid for by Aloysius. So what? I am entitled to it because I am the Finance Minister and I did nothing wrong to accept that gift is how he sees it. So when he does not feel guilty even of appointing the Malay BIL to a top position you know his voters don’t see anything wrong with voting for him and his party either. After all People here from Down Under defend the Batalanda King too. donkeys and monkeys in the eyes of the trio and this is the real picture ! Three years back , a PEANUT SIRA now says he has a sword in his hand ! and bring in new loots ! Oh come on Sira , it is your do it or die scenario ! current climate . Just another ten days ! Jehan Perera: Sirikotha “Has stolen money and they gave a big advertising contract to a foreign agency working Sri lanka. Just before the previous election, Sirikotha was bankrupt and to ministers gave money to the election. Soon after the election they settled all those accounts. Now, for this unimportant election, they have given a Rs 154 million advertising contract. How did they earn that much money that fast. Why RAVI THE LIAR is PRAISING MY#. He wants to save his but. I Heard some one from UNP has bought Petroleum Refinery from Mahinda Rajapkse. So, you all ganged up to bash the President. If Prez Siri does the same in a western country, journalists would call him a ‘loose cannon’. There is no doubt that Sira has a loose canon moving around in his wavula suit.what kind of cannon is Ranil? Not so loose? Or has he lost his cannon? All their cannon fired together is not enough,not enough even for Mangalato get his firing pin into alignment. Pus vedilla is the result.